to reach out to the Spring Hill community. Paul has served the Presbyterian Church of Australia in a number of parishes and upholds the principles and practices of Biblical theologies. The Elders are men and women of the congregation chosen for the role and they assist the Minister with the spiritual wellbeing of the St Paul’s community. Together they form the Kirk Session. The ladies of the Pastorium complement the work of the Session with a specific focus on pastoral care and the nurture of members of the congregation. Several times during the year on a Sunday evening, the Pastorium arranges a Café Church on St Paul’s where we share a meal at 5 pm in the hall before an informal service at 6:30 pm. Some of the Ministry Team visit our members who are unable to come to worship, and they share Prayer and Communion with them during these home visits. 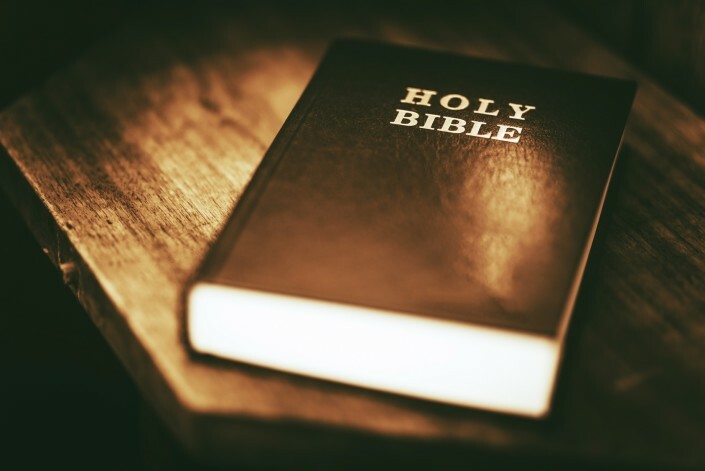 We seek to provide for our young people suitable programs that encourage them to learn about and be nurtured by the teachings of the Bible; to grow in grace and faith as they mature and as they establish themselves personally and professionally in our busy and ever-changing world. 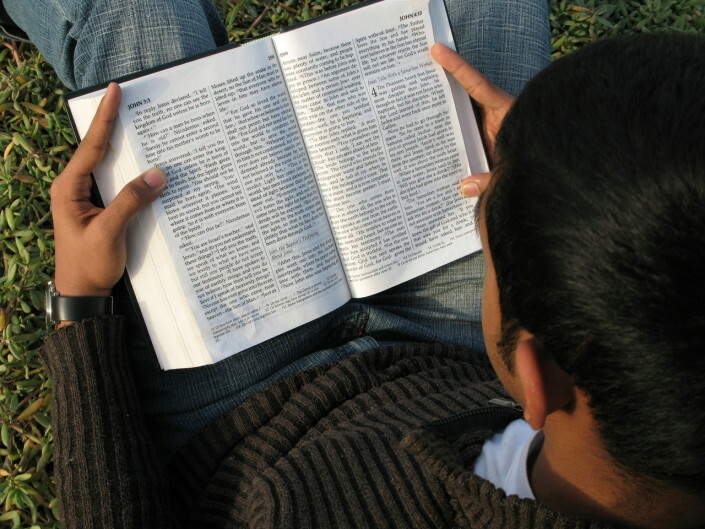 St Paul’s Youth meets every Sunday morning with the exception of school holidays. The children and young people sit with their families during the first part of the 9.30am worship service. Part way through the service, they move to the adjacent church hall with their teachers for fun activities and Bible learning time. During school holidays, the service includes a talk especially geared for children. Activity bags for children of different ages can be borrowed from the church porch for use during worship if the young ones become restless. Some of our young adults are part of the Future Directions Group. The Presbyterian Church of Queensland is committed to the safety and holistic wellbeing of all children and young people involved in its events. To ensure that children and young people are kept safe from harm, Presbyterian Church of Qld staff and volunteers are required to hold a current blue card, agree to adhere to a Code of Conduct when working with children and to undergo training in child safety. We delight in welcoming newcomers and visitors to St Paul’s. Whether you are searching for God and a faith community or just visiting our city, everyone is welcomed and we love the opportunity to meet and greet you. St Paul’s Care Group, as part of the Pastorium’s ministry provides practical help and comfort to members who are in need of prayer, emotional support or practical assistance. Our care and concern goes beyond our own community in various ways. We provide financial and prayer support for those involved in Mission and Outreach and participate in projects supporting local and overseas causes. We support a missionary family working with Interserve and provide both prayer and financial support to this important field work. Each year a particular are of need is chosen. The Presbyterian Inland Mission is our special focus for 2019. We support this important work in prayer and by our monetary contributions to assist the Patrols across this vast state. 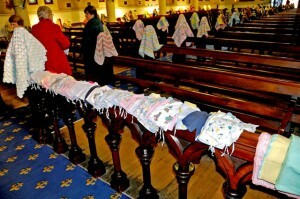 The Special Care Nursery of the Royal Brisbane and Women’s Hospital receives from St Paul’s each year donations of particular handmade items for tiny babies in hospital – e.g. 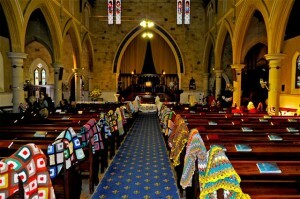 bonnets, booties, wraps, peanut pillows, cushioned supports for medical tubes, humidicrib arm cuffs – all lovingly sewn, crocheted or knitted by ladies of the church and their friends. 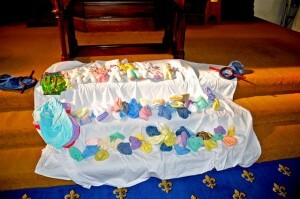 These are presented at worship for dedication before being delivered to the Nursery. This is love in action and these gifts are of special comfort to the babies’ parents as they cope with this time of distress or concern. Hummingbird House was chosen as the focus for 2017 and 2018. It is Qld’s only hospice for children with life-limiting conditions and was opened in 2016. It provides specialised care and services in a fresh and inviting space with areas of accommodation for both the child and their family. For 2016 it was Mummy’s Wish – a charity supporting cancer-suffering Mums with children aged twelve years or younger. Rural Fire Services was our focus in 2015. Other past projects have included Addis Ababa Fistula Hospital in Ethiopia, the Royal Flying Doctor Service, Mercy Ships, Presbyterian Inland Mission, Fire and Rescue Services, Operation Christmas Child.